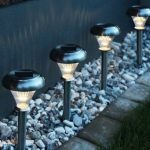 Home » Home solar applications » The Solar Garden Lights-What’s Their Story? 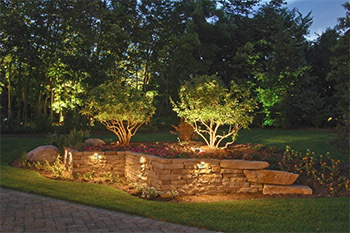 When you want to add the final touch to your new garden, the solar garden lights may work for you. 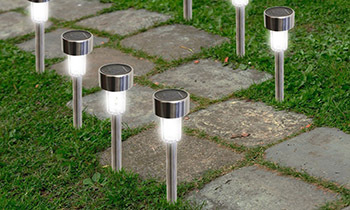 Apart from the aesthetic part, the solar garden lights are also highly functional as they can illuminate your steps in the dark, but also adding a softness to your garden at dawn. If you want to show off, go with the solar garden lights anytime. And if you want to create a romantic feel to your solar garden lights, go with the solar garden lights as well. Gone are the days when solar lights used dim lighting as the new LED bulbs are now way more popular, giving out more light and less heat, needing a lot less energy to operate. Using solar lights (and for your garden as well) is way more efficient as you don’t have to place the lights in a very specific place, typically near the plug. The solar panels are in many cases card-sized so you may place them anywhere you need in order to give light in your garden. Solar cells have gone better over the years and this means the lights remain turned on even in the dark winter nights, even though not until the morning, like it happens in the summer. Solar lights are a great option for the garden on so many levels and let’s go through some basic info so that you get to understand better why is so. LED (light emitting diode) are directional and this means they give light in a specific direction, which is totally different from the traditional incandescent and fluorescent bulbs that give light all around. The heat is minor in the case of LEDs so they’re a lot safer, taking the use all night long. Another great part about LEDs is that they also come in a great variety of colors so even if you’re going for the simple and subtle white light in your garden, you can definitely get creative and add some warm and whimsical color accents in your garden. If you’re a gadget fan, it’s good to know that you may also get LEDs that are Wi-Fi connectable so you may easily control them from your house with your smartphone. 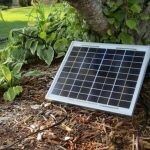 Solar garden lights are very easy to install and many come with built-in darkness sensor, which means they automatically turn on at dawn and off in the morning. The solar panel features a photovoltaic cell inside that turns sunlight into an electrical current. The efficiency of the solar panel is linked to the size and quality of the solar cell, but also to the transparency of the protective cover. The solar cell is the priciest part of the solar light and the more you’re willing to pay, the higher its quality is going to be. As photovoltaic technology is always developing, the prices are always coming down, which doesn’t mean the quality is going any lower, though. Don’t forget to check the protective film on the solar panel after installing the lights as the panel doesn’t charge efficiently when covered. The battery is rechargeable and connected directly to the solar cells, storing the electricity that the cell is giving. The NiMh batteries are very common as they handle very well the frequent charge and release cycle. Additionally, you may dispose them with no harm over the environment. Circuitry is essential for the solar lights and can make a difference. The efficiency of how the stored electricity is turned into light depends on the wiring and a high-quality one gives you more durable and brighter solar light. Housing counts a lot on the solar lights. No matter if you’re getting them for security reasons or for aesthetic ones, you need the housing to be both UV-stable and weather tight. You should also be able to put the lights together in no time as many solar lights out there have the solar panel built-in. when the solar panel is separate, you can mount it where it gets the best sun exposure and install the lights elsewhere. Run time is something to check on your solar lights too. It depends a lot on the quality of all the other elements and gives you lights that last one hour or a couple of days. Placement is a big thing when it comes to the solar lights. The solar cell should face south and the angle is best when it’s perpendicular to the sun. You don’t want the surface of the solar cell to be shaded by any structures or foliage during the day. If your solar lights come with automatic on/off sensor, it’s best if you’re not placing them near other bright light source as it may “confuse” the lights and turn them off way too early. There are various solar lights that you may install in your garden and you should give it a though before going with one or more types. If you’re thinking about giving your garden a soft, magical lighting in some areas as you want to highlight them (wound in your trees, around an arbor), the garden light accents are the way to go. You may go with fun shaped lighting and you can have your pick from pretty colored butterflies, flowers or birds, creating a nice décor in your garden. Don’t forget about the light strings, netting or the staked designs that come also in a great diversity of hues and color changing choices. They’re not very expensive at all, but they’re not that durable either as they’re not weather proof in most cases. Be ready to take them out and store them away once summer has gone. You may also want to light up your walkway or you may want to mark the garden bed hedging, sidewalks and garden paths. As LEDs are directional, you may totally rely on some spiral designs, for instance, to use in your garden. Path lighting is very popular and the diversity of materials and shapes is impressive. From plastics, glass to wire, the solar path lights may become alone artistic details for your garden, making a big impression. Due to their diversity, the path lights aren’t pricey at all and they sure don’t disappoint on durability since they’re made with weatherproof materials. Task lights are a bit more expensive as they’re typically brighter- they do need to be so since you’re planning on using them to light up a specific area. You may also use them as path lights also, when you want to focus lighting on some statuary, house front lighting or some water decorating items. 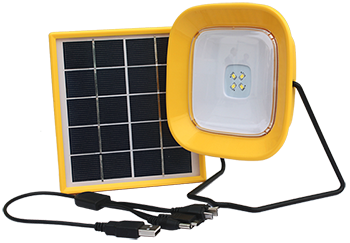 The solar task lights come with a separate panel so you may mount the panel away from the lights, giving it the best sun exposure. 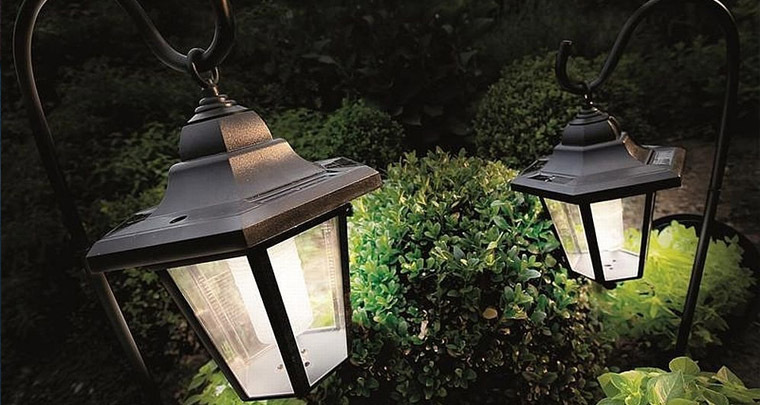 This type of solar lights is also longer lasting as they are not only weather proof, but also UV protection, taking the use for quite some time. How to choose your solar garden lights anyway? In order to help you take a decision, here are some questions you can ask yourself before going shopping. Why do I need them for? It’s important to know if you simply want to light up your steps in the garden or want to highlight the statuary that you just got as a gift from your family. Do you want the lights for the aesthetic or for the security? Or is it for both? Do you have enough sunlight for them? No matter how powerful or great your solar panel may be, able to charge even in shady areas and when it’s cloudy, you’re still going to need a good amount of sunlight for the solar panels. If your garden is filled with shady areas, you may want to look only for the solar lights that are rated for low light charging. Do you need the lights all year round? As mentioned before, not all solar garden lights are all-weather and safe to use throughout the entire year. Even though you may get some solar lights for a low price, double check their features as they may not take the freezing temperatures. Solar garden lights are the lights of today and you only need to think better which type you need, but also to check your wallet before going shopping.